Europe’s elevated beauty takes more than just a quick overnight stay to explore, there are simply too many amazing places to be discovered! And that’s where hut to hut hiking comes into the picture. 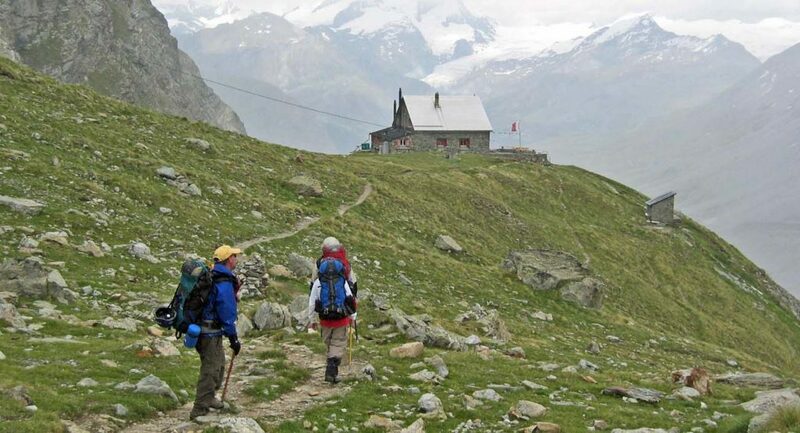 Day-long hikes are great, but if you really want to get away from it all then we cannot recommend a hut to hut hiking trip enough. Hut to hut hikes are quite an alien concept to most of us. But if you give them a chance, you will discover there is nothing quite like it. Mountain huts are dotted across the Pyrenees, Alps and the Dolomites and offer you the opportunity to take on long point to point hikes across several days. The huts really range in comfort. Some are like a good bed and breakfast offering twin rooms and hot showers while others are a lot more basic with large communal sleeping areas. The idea is to plot a route that brings you from one hut to the next. The Dolomites with their imposing features are very different to the Alps. And I would urge everyone who hasn’t been to go, they are out of this world. And if the scenery doesn’t sway you alone, then I may also add that the food is sensational. Kicking off in June, just as the snow has melted and temperatures begin to rise, the Outsider Hut to Hut trip is always a hoot. It’s hard to explain just how magical this hut-to-hut trip is. First up, the word ‘hut’ doesn’t do your nightly accommodation justice, but there is no real translation for the Italian word ‘refugio’. The closest we have is ‘refuge’. But what you can expect is a cosy and atmospheric place to sleep each night right up in the high mountains. Sure, the rooms are often communal and sometimes basic, but this is more than made up for by a gorgeous welcoming atmosphere, delicious food and drink and the chance to experience these wonderful mountains under the starry night sky, and spectacular challenging hikes every day. 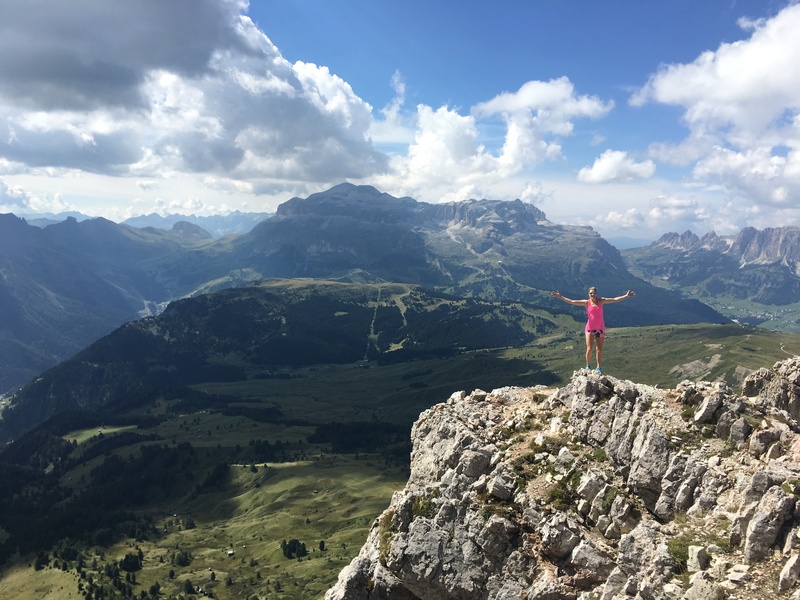 You will reach a different hut boasting its own personality each night as you hike stunning and challenging trails each day that wend their way through the UNESCO World Heritage Site of the spectacular Dolomite Mountains. You’ll carry your own gear on your back, so this trip is best suited to those who like the challenge of multiple long days hiking and who like to get away from it all. Cost: €999pps (incl flights, half board, hiking guide and more). This is Sound of Music territory and believe us, it is even more impressive in real life than it is on the big screen. And if you really want to squeeze every single drop out of this incredible place then there are few better ways to do so than taking on the incredible Eagle Walk. Stretching across the entire Tirol region, the route takes in a total of 413km kilometres. Completed in its entirely, it isn’t exactly for the faint-hearted. Although you can take it as slow as you like, as long as you plan your distances from hut to hut accordingly. This is a route that you should try not to speed through but rather take the time to enjoy the lakes, waterfalls, ancient villages and Alpine meadows along the way. Another option is to take on particular stages of the route. Either way, you will have the pleasure of bedding down in one of the many traditional Austrian huts along the way where you will no doubt gorge yourselves on Apple Strudel and other Tirolean delights. The Haute Route needs little introduction. It is the ultimate point to point trekking route in Europe. Leading hikers all the way from Mont Blanc to the Matterhorn, there are few views in the world that compare to those along this route. 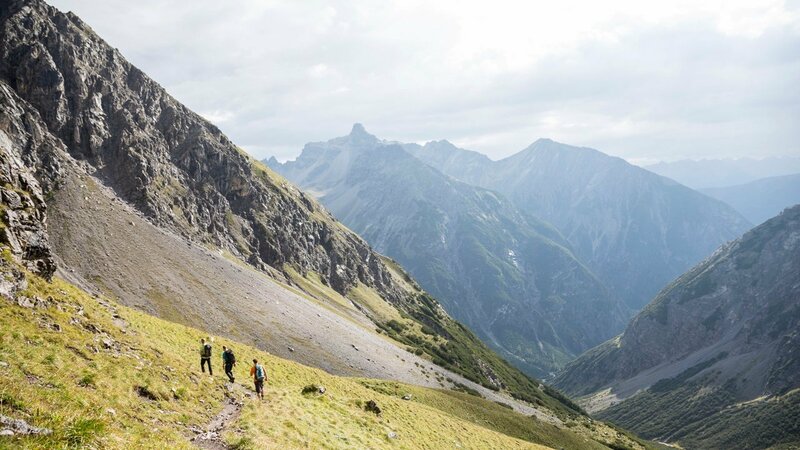 The route traverses 10 out of the 12 of the highest peaks in the Alps, and crosses several high passes so a good level of fitness and experience is essential. 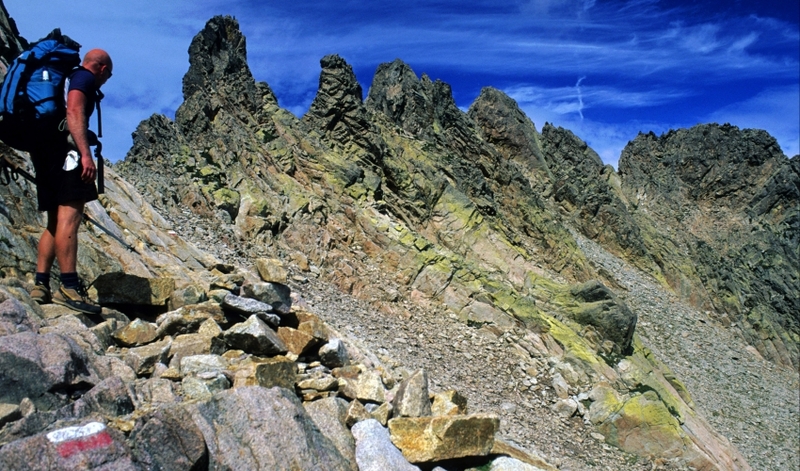 The highest pass is at 2964 m (9,800 ft). You will walk across glaciers, past towering snow-capped peaks, down green alpine valleys and through chocolate box villages ensuring that you never tire of the scenery. Those thinking of taking on this challenge should be able to hike up to 25km per day with 1,200m of ascent. Slovenia is a country often overlooked by many of us. However, it has so much to offer. And due to the fact it is still considered a little off the beaten track, it is cheap as chips! 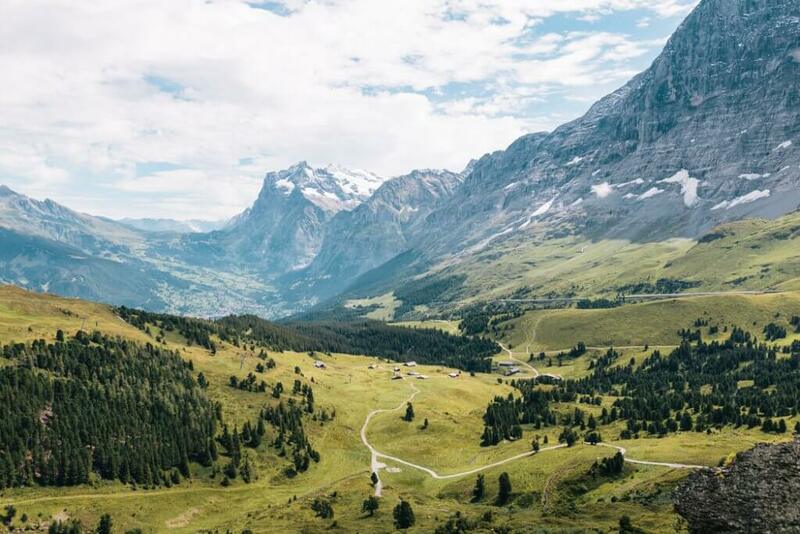 With over 180 mountain huts, shelters and bivouacs dotted across this small country, there is really no end to the different multi-day hikes you can plan. However, one of the most popular is the looped route from Lake Bohinj. 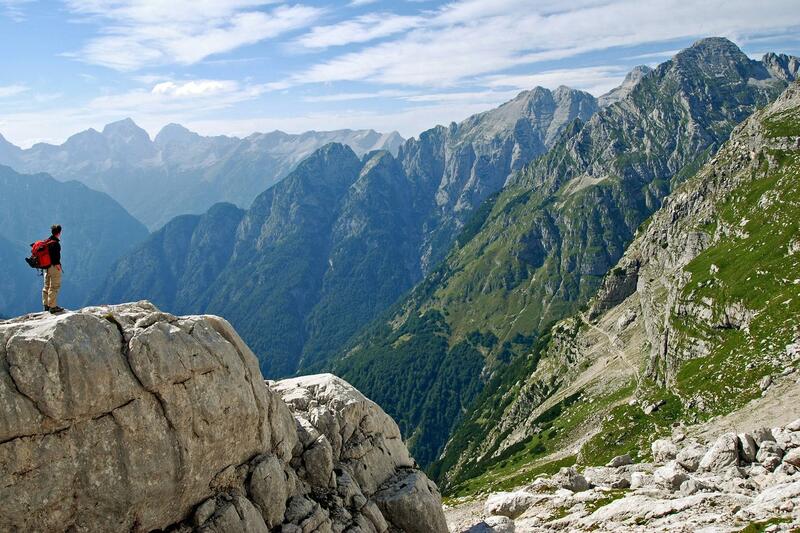 Winding its way through the Triglav National Park, the views of the limestone peaks are simply stunning. The mountain huts in this region range in comfort with the lowest grade starting at €16 per night and the most luxurious costing up to €27 per night. All offer great grub and spectacular locations. 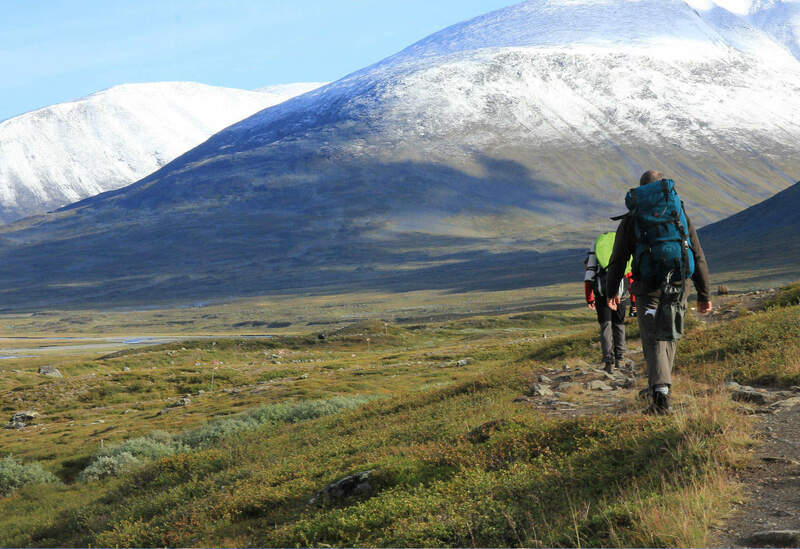 The Kungsleden (Kings Trail) is considered to be one of the most beautiful long distance hikes in the world. Offering over 400km of well-marked trails, the route stretches from Hemavan in the south to Abisko up the north. Those who are really up for a challenge can complete the route in its entirety. However, the trail is separated into four portions which each represent approximately one week of hiking. The most popular part is by far the northernmost route between Abisko and Kebnekaise. Twisting and turning 170km along Corsica’s recognisable granite peaks and pinnacles, the GR20 is one of the longest — and toughest — long-distance hikes in Europe. Loose rocky climbs, unassisted scrambling, and the searing Mediterranean heat make the trail brutal on the mind and body, and perfect for an adventurous hiker. Don’t underestimate the GR20: you need to be fit, fairly experienced, but most importantly, you’ve got to be seriously motivated. We recommend having quite a bit of mountain-walking experience. You should be able to read route notes, locate your position on a map, and navigate your way when necessary, though the trail is clearly waymarked from start to finish. You should also be prepared for some scrambling in the tricky northern section, occasionally with the assistance of a ladder and chains. The mountain huts on the GR20 are fairly basic and some of them do not even have running water or electricity.